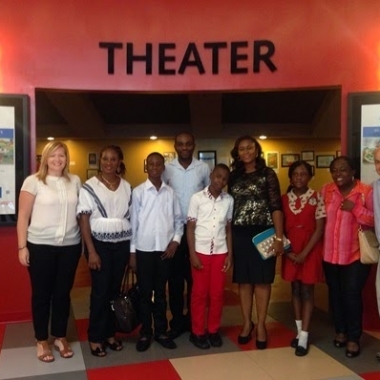 We were thrilled to welcome seven visitors from Nigeria this week on Tuesday September 2nd. 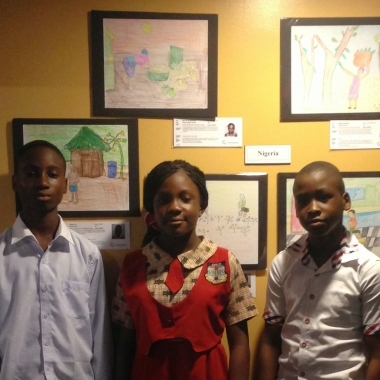 They came to Connecticut to see the 2014 International Children’s Art Exhibit at The Maritime Aquarium at Norwalk. 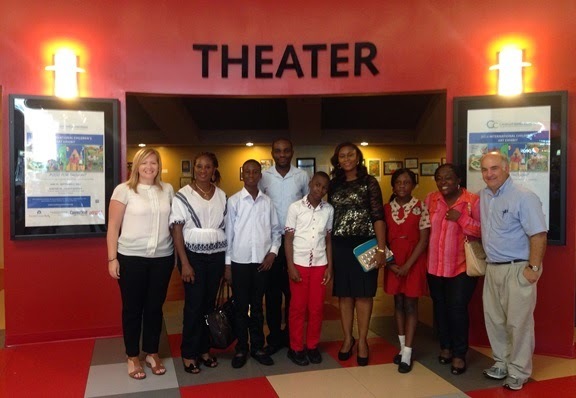 Tunji Olu Akinloye (our field coordinator, center) and his students, Divine Kaosisochukwu Ekwealo, Chinwe Cynthis Onuoha, and Daniel Oluwatunmise A. Akinlabi, along with their mothers, Stella Ifeoma Ekwealo, Chidinma Carol Onuoha and Alaba Olufnmilola Akinlabi seen here with Christina Rose, Executive Director,(left) and Alan Steckler, Founder,(right). 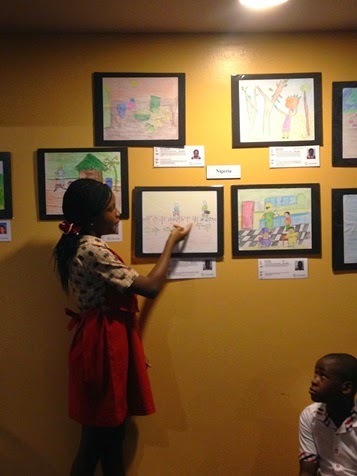 Chinwe Cynthia Onuoha proudly spoke about the art piece she created and described the farming scene, which is representative of traditional Nigerian agriculture. 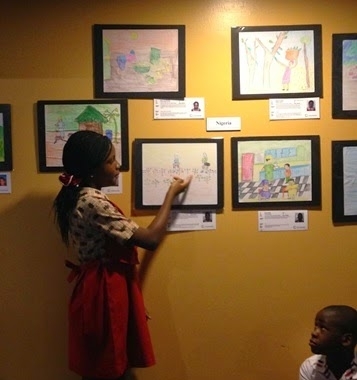 We spent time looking at the exhibit with our guests and talking about all the art work from around the world. We talked about gender roles, favorite sports and dreams for the future. The students shared with us their favorite food – pizza and their favorite subject – math! Following the exhibit we hosted them at our Norwalk office, including a tour of our work space and our art archives, and ended with a lovely lunch together. We are grateful to them for making the journey and sharing their culture, stories, talents and friendship with us! 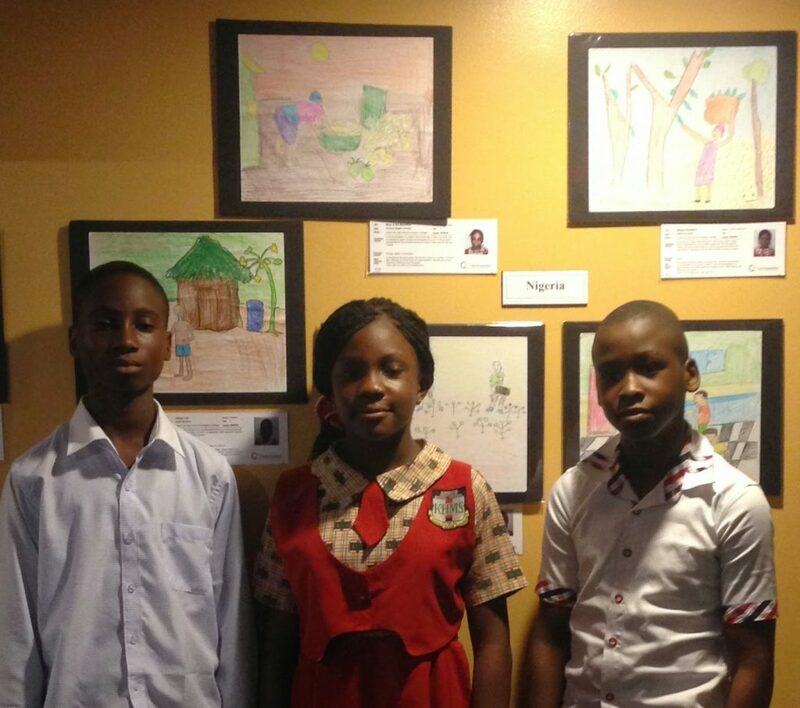 We look forward to another great year in our ArtLink program and we are proud to have Nigeria as a partner.